Sometime near Christmas, a group of engineering students at Texas’ Southern Methodist University said they realized a trailer with a race car they’d built in it had gone missing across the highway from the main part of campus. The group told Jalopnik the alleged theft included $55,000 or more worth of parts. The students are part of the university’s Formula SAE team, which universities internationally have. Teams design and build a formula-style race car to certain specifications during the school year, then take that year’s car to competition against teams from other schools. 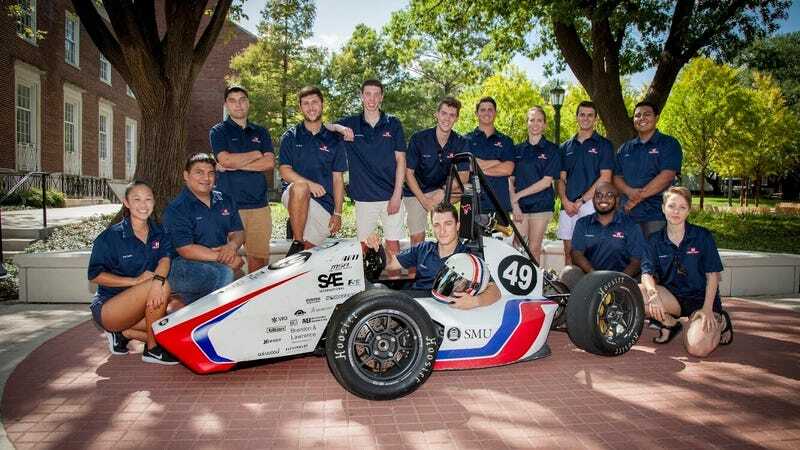 SMU’s Formula SAE team, which goes by Hilltop Motorsports and has only been around for a couple of years, posted on Facebook Wednesday that its car was stolen between Sunday and Tuesday—during winter break and the Christmas holiday, when campus is virtually empty. The post said someone took a silver, 16-foot trailer from SMU property, which had tools and equipment inside in addition to the fully built race car. The SMU Daily Campus student paper reported that SMU’s public-information office, which handles police media requests, is closed through Jan. 2, but that a spokesperson for the university’s Lyle School of Engineering said SMU police asked the Dallas Police Department for help in the investigation. Jalopnik reached out to Dallas police Thursday morning to confirm the alleged theft and investigation, and a spokesperson said they could not confirm anything at the time but will get back to us soon. We’ll update when we hear back. Hilltop Motorsports chief engineer Alexis Madrigal told Jalopnik the team estimates the car and parts in the trailer were worth $55,000 to $65,000. He said the team got about $50,000 of funding this school year through donations, sponsors and club allotment through student government, which is about how much the car itself costs to make. Madrigal noticed the trailer was missing when he stopped by his apartment Tuesday, and told Jalopnik he “didn’t believe it” when he looked down into a parking lot where it was supposed to be and it wasn’t there. Madrigal’s approximately 30-person team didn’t believe it when he told them, either. The car that was in the trailer can’t be used in FSAE competition again, since it’s already competed. But Madrigal said it was the “first car that [the team members] were all really proud of,” and that the new car currently has the design and frame completed. With a semi-relieved laugh, Madrigal told Jalopnik all of the parts for this year’s race car are stored in a different place. The equipment in the trailer with the old car—toolboxes, extra fuel, race suits and helmets—was meant to be taken to the team’s next competition in Lincoln, Nebraska at the end June. Hilltop Motorsports’ post said the team will “be working relentlessly” to get a car ready for the competition, but that moving forward without the allegedly stolen items will be a huge setback for the them. 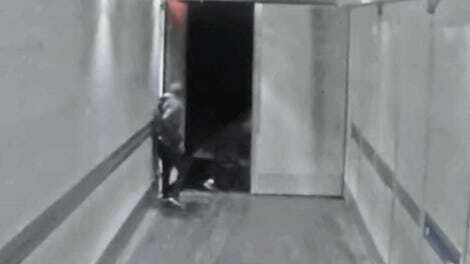 The Daily Campus reports that exterior shell of the old car is still in the team’s possession, since it was in a building at the time of the alleged theft. The SMU Formula SAE team’s race car at competition. Madrigal said the team got the trailer about a year and a half ago, and that it’s “been outside in that parking lot for the majority of the time” with no issues. It stayed there over the summer break, he said, and the team decided to leave it out during the winter as well with locks on the doors and the trailer hitch. “Over this whole year, we’ve had [the old car] intermittently in our shop where we’re building our new one to get design ideas off of it,” Madrigal said. Madrigal said university parking services told the team the parking lot, which he said isn’t gated, would be “a fine place to park” the trailer. But even the locks and precautions weren’t enough. “We’ve always taken precautions by locking everything,” Madrigal said. “But if somebody’s going to take something, that’s just a deterrent. It’s easy to knock a door lock off or knock that hitch lock off, but we did all we could, I guess.